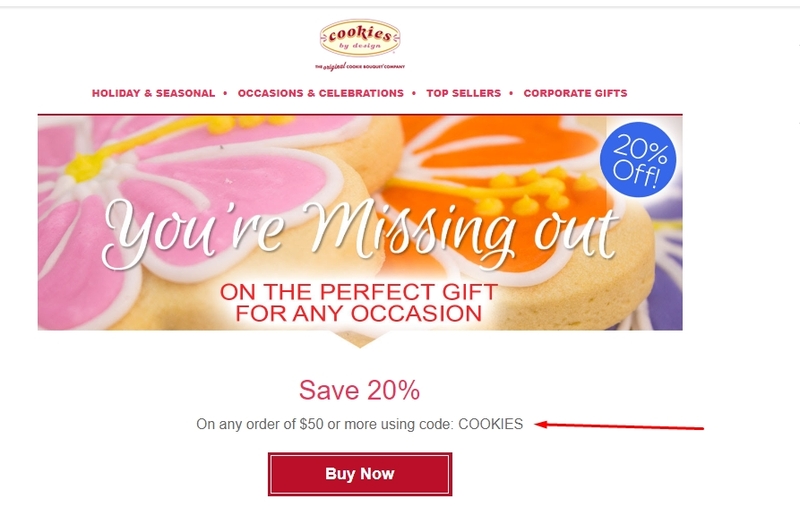 This coupon was last used 6mo ago and is currently rated Somewhat Likely to work. Expires in 11h . Last validated 1wk ago . Used 53 times. Luis Enrique Rojas Moya I am validating that this deal works as described. 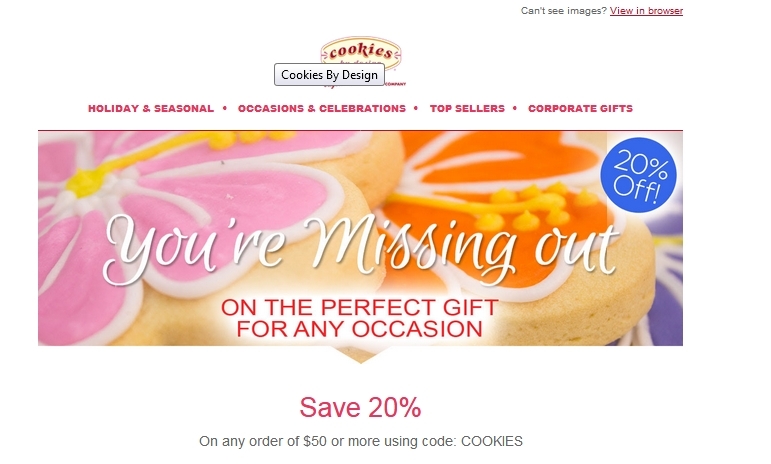 Just apply the coupon code and Get 20% on Any Order of $50 or More at Cookies by Design. 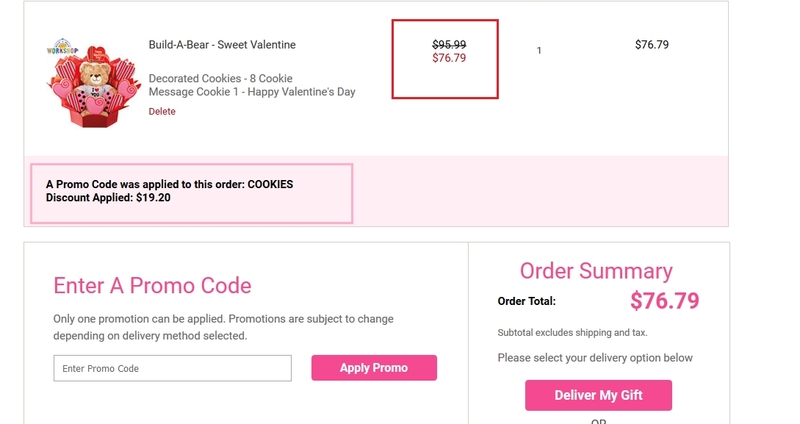 Siret Moreno I'm reactivating this expired deal, just copy and paste the code in the box to earn your discount right now. Enjoy it. 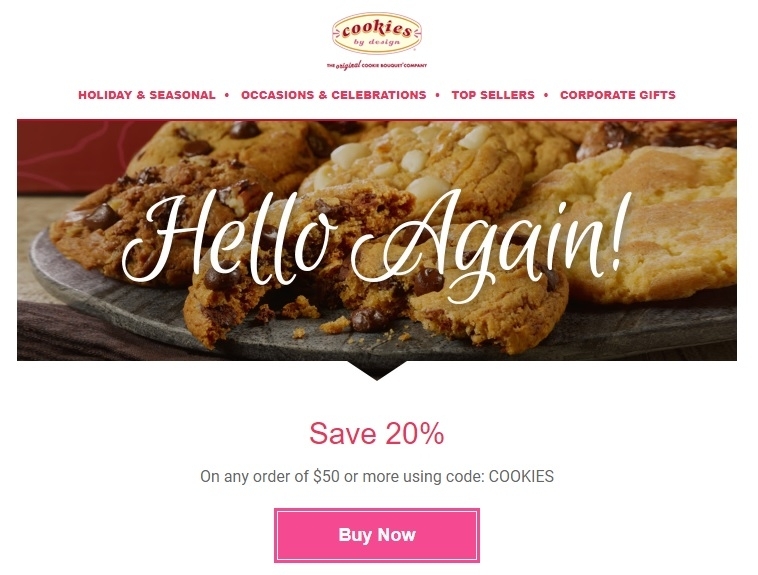 Nelcy Medina Save 20% on any order of $50 or more, using code: COOKIES. 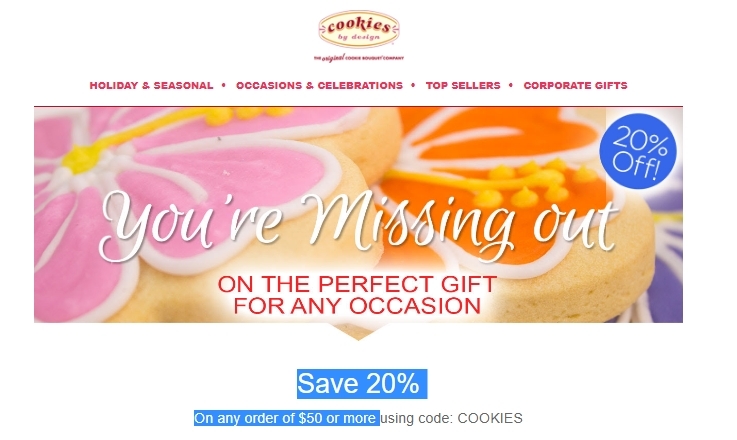 Excludes tax, license and delivery.